Driverless cars could be on the UK’s public roads by as early as January next year, the Government is to announce. At present autonomous vehicles can only drive on private roads. The Department for Transport had originally said that the next-generation cars would be allowed on public roads by the end of this year but Business Secretary Vince Cable is expected to reveal today that this will actually come into effect in early 2015, with measures to boost research also to be announced today (30 July). The news could spark the beginning of a new age for the motoring industry and both car dealerships and garages alike will be keeping a keen eye on developments. Nevertheless, for the time being vehicles will continue to need humans behind the wheel and as such it will remain integral for any motor trader to have a road risks insurance policy in place to ensure staff are fully covered to drive other people’s vehicles as part of their business operations. In his 2013 National Infrastructure Plan, Chancellor George Osborne stated that his goal was to ensure "that the legislative and regulatory framework demonstrates to the world's car companies that the UK is the right place to develop and test driverless cars". 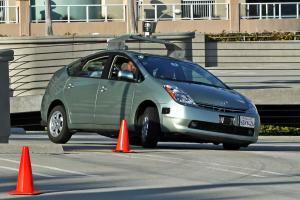 Many groups have since worked on developing and testing driverless vehicles. One such company, MERA, has supplied autonomous vehicles to the armed services while researchers in Oxford have developed a car that can be controlled via an iPad. Trials on public roads have already been held in Japan, Singapore and Germany, while in California, the cars are already road legal and Google's self-driving cars have recorded 700,000 miles. Sweden, and now the UK, will soon follow suit by letting the driverless cars loose on public roads.